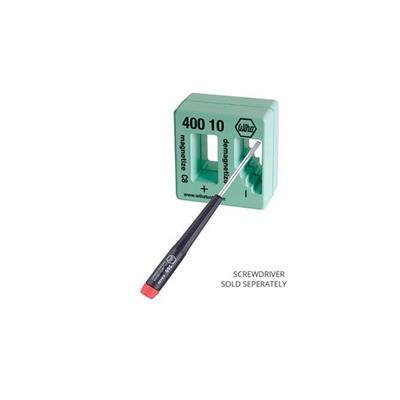 The Wiha 40010 Magnetize or demagnetize tools and small parts instantly. 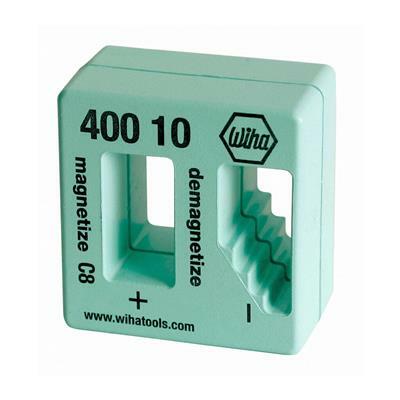 Magnetize and demagnetize steel screwdriver blades, tweezers and similar tools. Box high quality plastic, shock resistant, green, cadmium free.